I just returned from the Microsoft campus (well, I stopped for a panini), where students from Carnegie Mellon University are showing off their awesome project, a version of D&D that runs on the Surface. 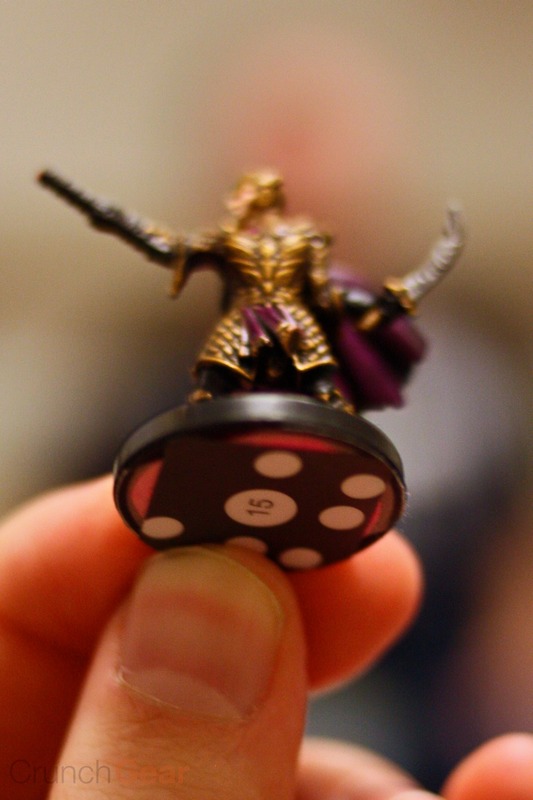 Now, before you start rolling your eyes, just recognize that this isn’t just a holy grail for tabletop gaming nerds. I mean, it’s that too, but really it’s a proof of concept that shows how fun and intuitive something like this can be, and how accessible a team can make it. I honestly think that if they had these things scattered around like Golden Tee cabinets, they’d get a huge following. The build we played with was last semester’s (it’s a student project, not a professional development), and since then there’s been a lot of bug-squashing and feature-adding, but the newest build isn’t playable. 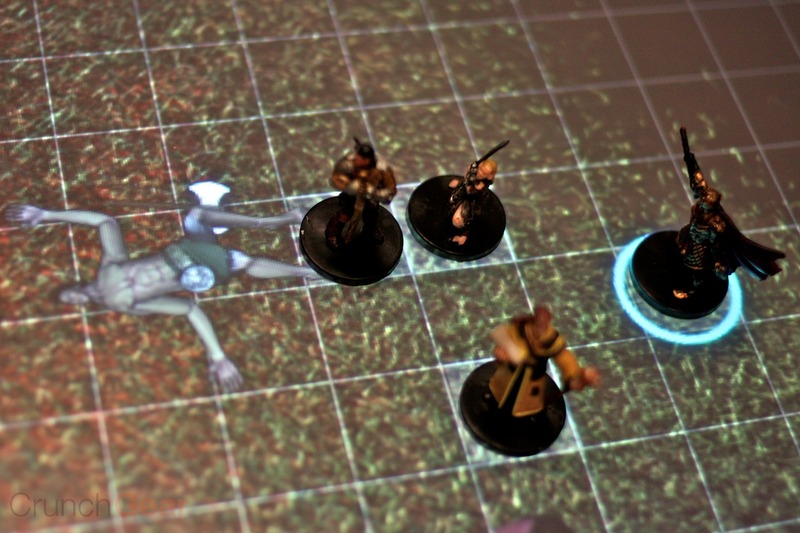 So they’ve got a short little scenario where we went from a zoomable map screen to a town where we… spotted some orcs! Roll for initiative! They’ve really taken advantage of the Surface’s ability to recognize the little tags, and your “control” token lets you place your inventory, actions, and so on wherever is convenient. The game keeps track of your guy even if, say, you spill a drink and have to move him and clean up. There’s actually a whole dungeon-master backend on a separate screen that can be manipulated in real time, adding or subtracting monsters, guiding the characters, and so on. Combat was straightforward, and they noted that a lot of that is being beefed up in the new version. Lots more moves, better dice, and so on. Of course there’s work to be done, but it seems really promising, and remember this is a project put together by a handful of students. They have some stated goals, but with some of the students graduating, the future of the project is uncertain (but not dire). I’m guessing Wizards of the Coast is going to pay through the nose for it — I’m sure they see what it could be with a budget and an extra couple devs working on it. 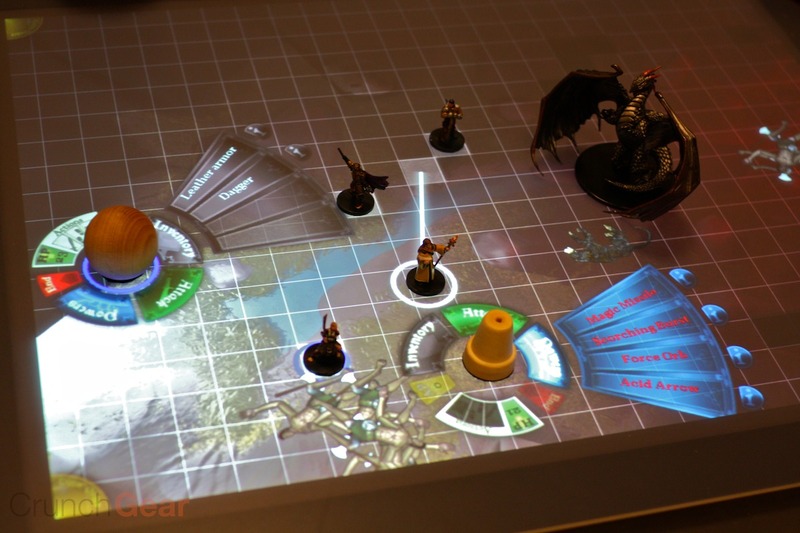 Now the take-away point here isn’t really “wow, you can play D&D on a touchscreen!” No — that’s very cool, but the point is that this kind of collaborative, intuitive gaming is something I can easily see in bars, lounges, and even schools all over the place. It doesn’t have to be D&D, though the game does lend itself to the medium well. The Surface lends itself to social activities around a table, and you could even connect multiple Surfaces over the net. This game is really just one of the first robust apps to take advantage of this in a cool, nerdy way, and I’m really looking forward to seeing more stuff like this. Unfortunately, the cost (and bulk) of Surface units kind of limits the places to which they can be deployed. We know they’re going to have a cheaper, flatter version at some point, and it might be hard for something like this to hit critical mass before that happens. 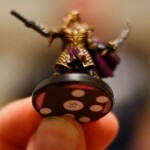 The CMU Surface D&D will be at GDC and PAX East, if you’re dying to check it out.